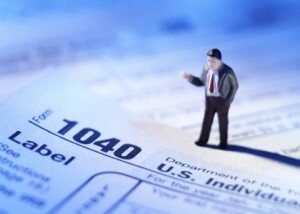 Taxes provide a good analogy for things that go wrong in organizations and teams. In this example we often associate “they are bad” with people who pay few taxes. Let’s think about this situation for a moment and see how we can use this in our projects. If someone makes a lot of money we assume that they will pay a lot of taxes. It is only reasonable as they are making money in this system of ours and should in turn return the favor, a portion of their success, to the system that supported them. In some cases however, rich folks don’t pay proportionally as much taxes as do people who are not considered rich. An interview with Warren Buffett and his secretary is now a classic example where he admits that the percentage rate of taxes he pays on investment income is less than his non-rich secretary pays on her earned income. Gee, we think, this is just not right. However, Warren Buffett is the good guy in this case, because he is doing a public service that is written into law. The public service is to invest in business so that we have an environment in this country that encourages the formation and success of businesses. Our elected representatives have passed public law saying that we should tax investment in business less than we tax the money people earn as an employee. The same is arguably true for all those rich folks and companies that don’t pay a lot of taxes. They are clearly doing a public service and the size of the service can arguably be evident by how little taxes they pay. Now, I don’t know whether to laugh or cry at this analysis. I did not take into account lobbyist or other influences on our elected representatives (who should represents us, we think). I did not take into account flawed tax code that has loopholes that allow tax savings in excess of the intent of the original legislation. And of course I didn’t take into account illegal activities that avoid taxes. I once sat in on a project management meeting where everyone was beating up on the Director of Quality. His team was allowing too many defects to get to the customer they yelled. Clearly he was the bad guy and we needed to fix him. I, as the new Director of Development, was responsible for the teams that produced that low quality product that the Quality Director was being beaten up for. I was responsible for the problem, but the good guy pointing out the problem — which was his job — was the one punished. In another organization, I spotted the manager of one of our software development teams looking very angry. I asked him what was up. He said that they had found a major defect in their code which had been there a long time and that darn test team had never caught it. He made it clear that he saw the test team as the problem, that is their job after all to catch defects, and not his development team that had put the bug in the code in the first place. It is all too easy to get misdirected by seemingly obvious conclusions. I often find people wording an issue in such a way as to make it sound obvious as to the problem and as to the culprit and cause of the problem. It is amazing how often we can come to an opposite conclusion by just stopping and thinking through what we have just heard. We still might not like the conclusion or it might seem to go against “common wisdom” but getting to a full understanding of a situation will just about always lead to better and longer term solutions and hence more successful projects. As to Warren Buffett and his secretary, my preferred solution would be to lower her taxes but not increase tax rates on successful people. I’d rather the successful folks pay more by continuing to be successful (Mr Buffett paid a lot more in taxes than his secretary did) then by paying a higher tax rate just because they are successful, but then that is just my preference. As to the two examples of low product quality? We fixed both by improving the code the development teams produced and not by changing what the quality teams were doing. In some cases our quality became so good that the quality teams panicked at not finding many defects — but that is another story. So the next time we find a bad guy, double check to ensure that they are not just doing what we asked them to do. Are you facing any issues where the obvious culprit may not be the problem at all? «Do 70% of your change efforts fail?